People often ask why we wrote three books about simple living: “That’s not very ‘minimalist,’ is it?” Actually, it is, because each book communicates something unique, all three add value in different ways—we didn’t just slap three different covers on the same material. Everything That Remains is the why-to book: it is our personal story of letting go; it documents our five-year journey from suit-and-tie corporate guys to minimalists. This book attempts to answer the questions: Why have I given so much meaning to material possessions? Why have I been so discontented by the status quo? What if everything I ever wanted isn’t what I actually want? Of everything we’ve written, we are most proud of this book. Minimalism is the what-to book: it focuses on the five values we must focus on to live a meaningful life. This book attempts to answer the questions: What is a meaningful life? Who is the person I want to become? How will I define my success after letting go of the excess stuff? 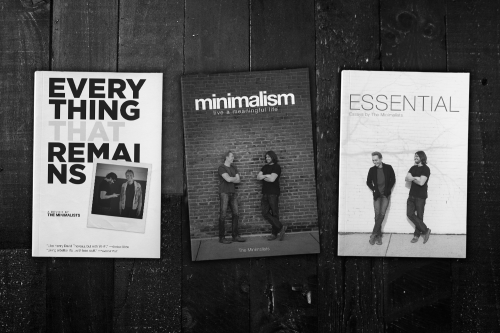 Essential is the how-to book: the “best of The Minimalists,” this collection of 150 essays focuses on twelve distinct areas of intentional living, from decluttering, gift-giving, and finances to passion, health, and relationships. This book attempts to answer the question: How would my life be better with less? Because people enjoy books differently, all three titles are available in paperback, ebook, and audiobook. For the best experience, we recommend reading them in the above order: why, what, how. But doesn’t selling a book fly in the face of the minimalist ethos? 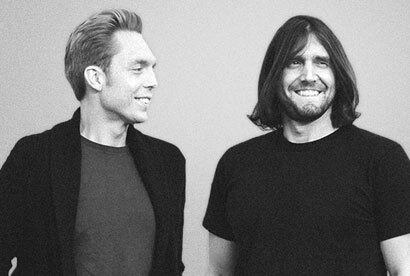 Aren’t The Minimalists asking people to consume more stuff? That’s a fair question, except books are not mere consumables—they’re experiences. The value is not in the artifact itself—the value is in the words. Ergo, we don’t want you to consume our books—we want you to experience them. Do we want you to purchase our books? Sure—only if you’re willing to read them, though. But please, by all means, do not collect them. When you’re finished, pass the book on to someone who might find value in its pages. Or, instead of buying our books, find them at your local library. And if your local branch doesn’t have one of our titles, ask them to order it—most libraries are delighted to fulfill the requests of patrons. No matter the vehicle—be it our books, essays, podcast, or documentary—we hope you find value in our message. Above all, we want to add value to your life. P.S. Our books are also available in these languages. Beyond our books, you can check out The Minimalists’ book recommendations for a short list of books that have influenced us over the years.